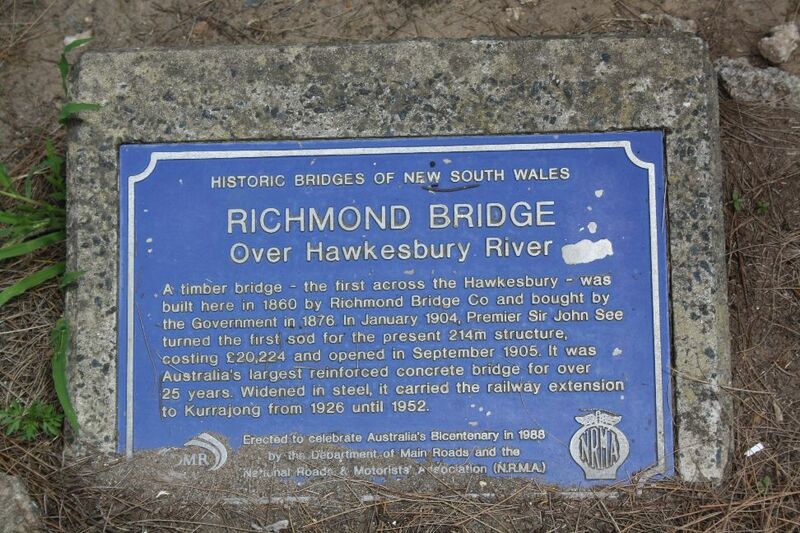 The bridge over the Hawkesbury River near North Richmond, North-West of Sydney, is one of the first reinforced concrete structures in Australia. 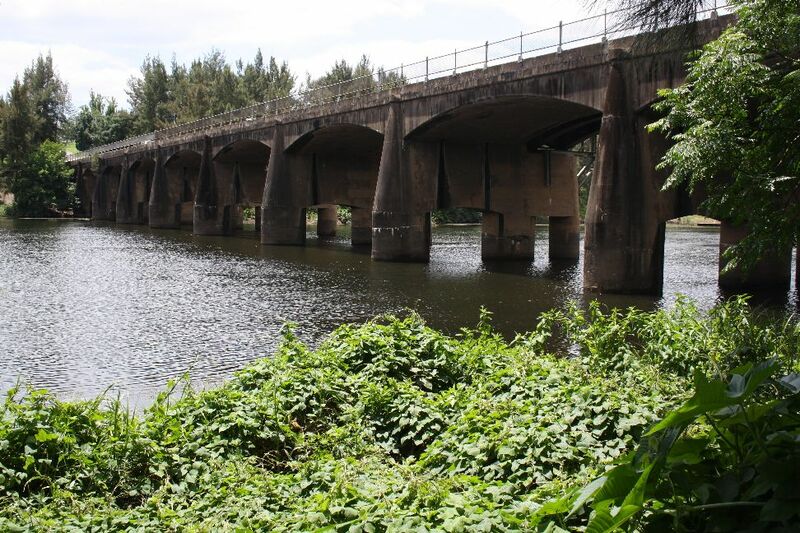 At the time of its construction it was the largest reinforced concrete bridge in the country, and it remained so for 25 years. 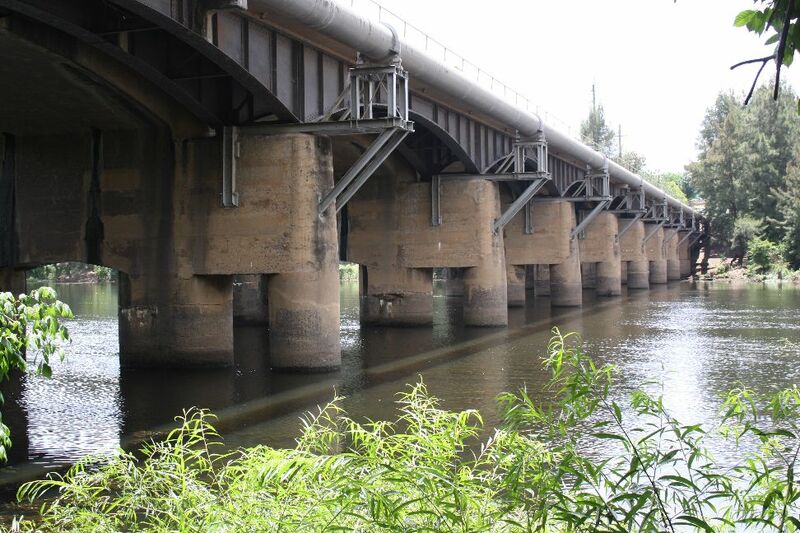 The bridge is one of a few examples of the Monier arch system in New South Wales. 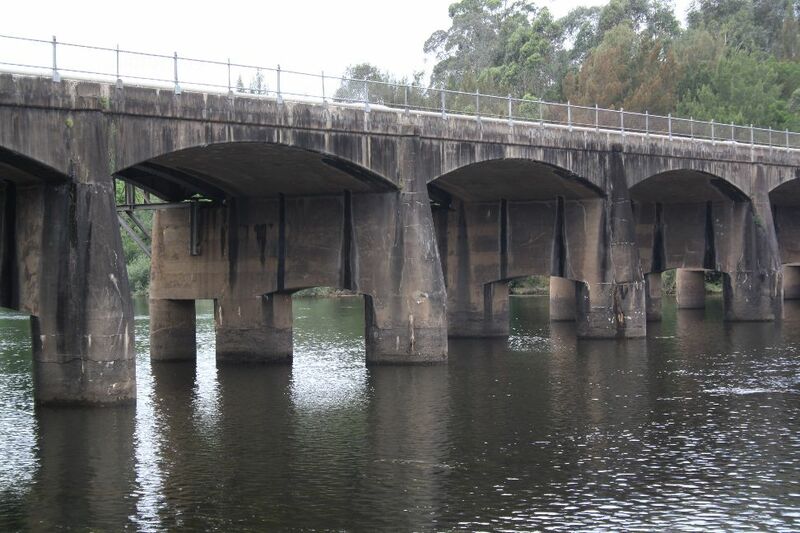 The system was developed by Joseph Monier and licenced in Australia to the firm Carter Gummow and Co. and later to the firm Monash and Anderson. 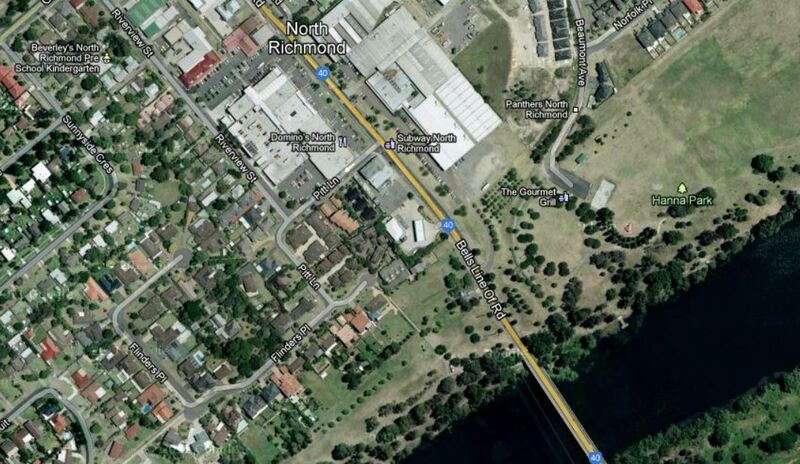 Most of the structures built in Australia are in Victoria, including the Anderson Street Bridge in Melbourne. 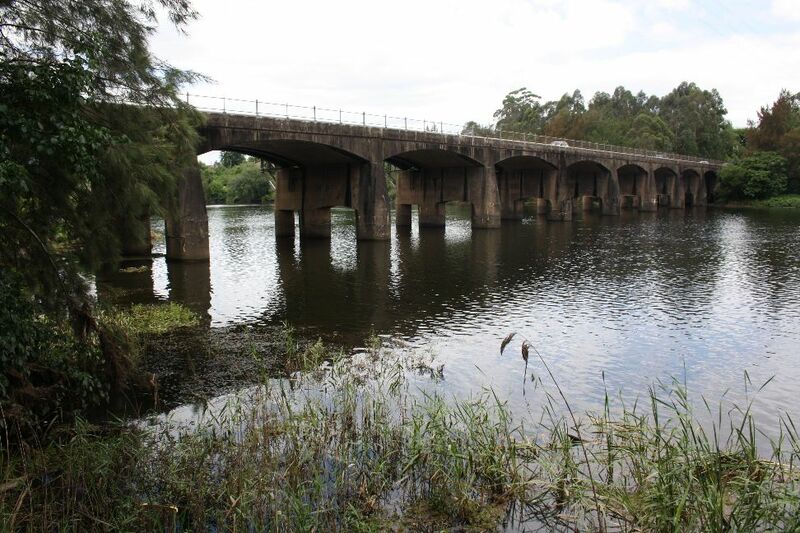 The history of the structures in Victoria has been well documented, and can be found at Monash & Anderson’s Monier Arch Bridges. 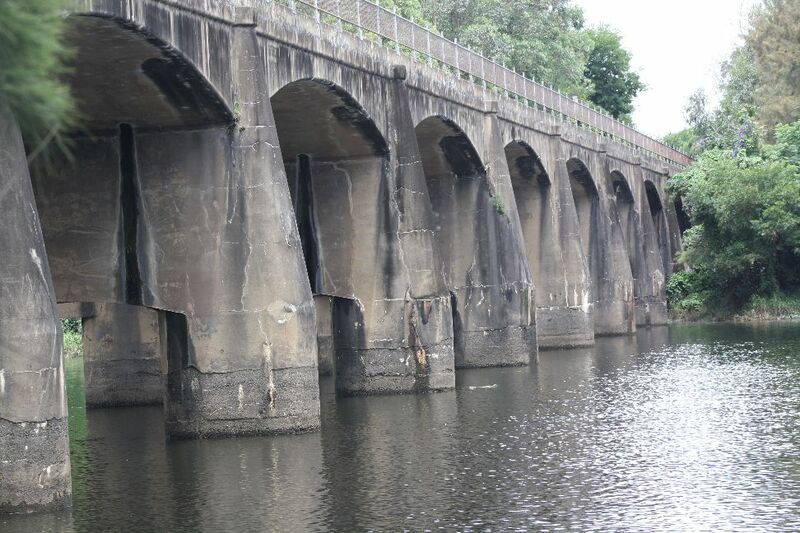 The North Richmond Bridge is documented by the NSW Government Office of Environment and Heritage. 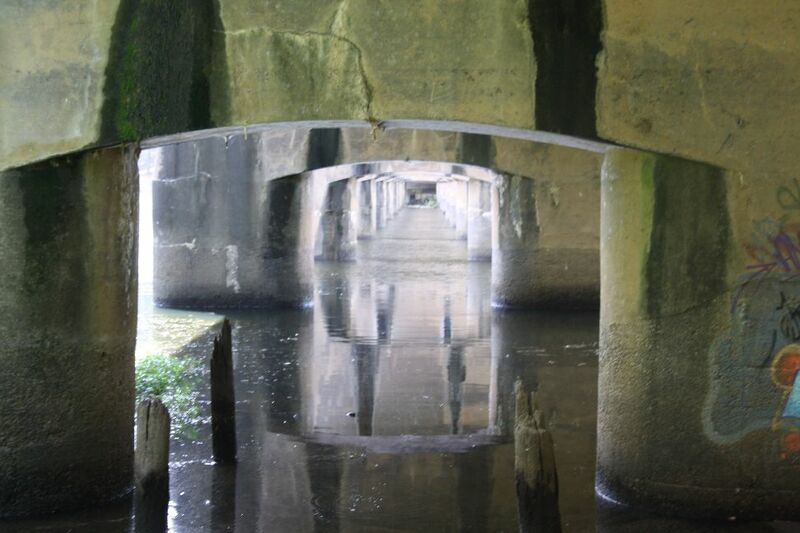 The original structure consists of 13 arch spans, monolithic with heavy concrete piers, consisting of twin concrete caissons founded on rock, joined by a deep headstock with curved soffit. 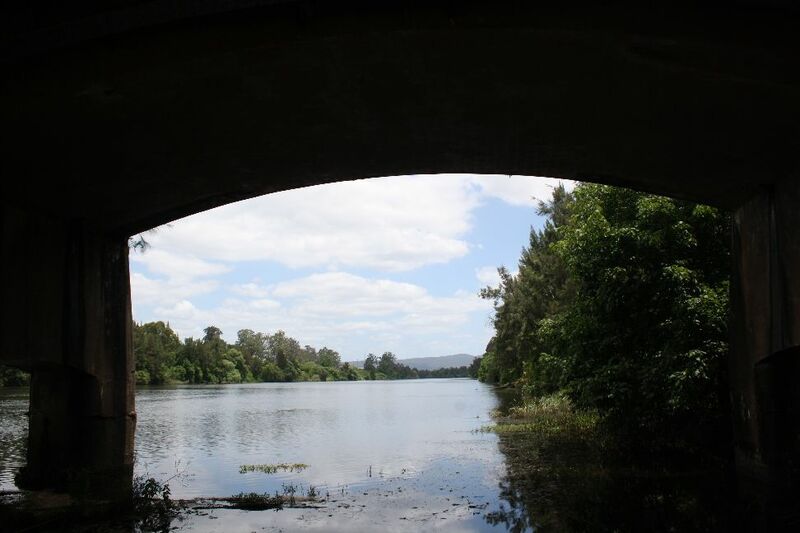 The northern end of the bridge can be accessed from Hanna Park, immediately to the north, which has an access path under the bridge, the path providing excellent views of the bridge and along the Hawkesbury River in both directions. Access track under the northern span. 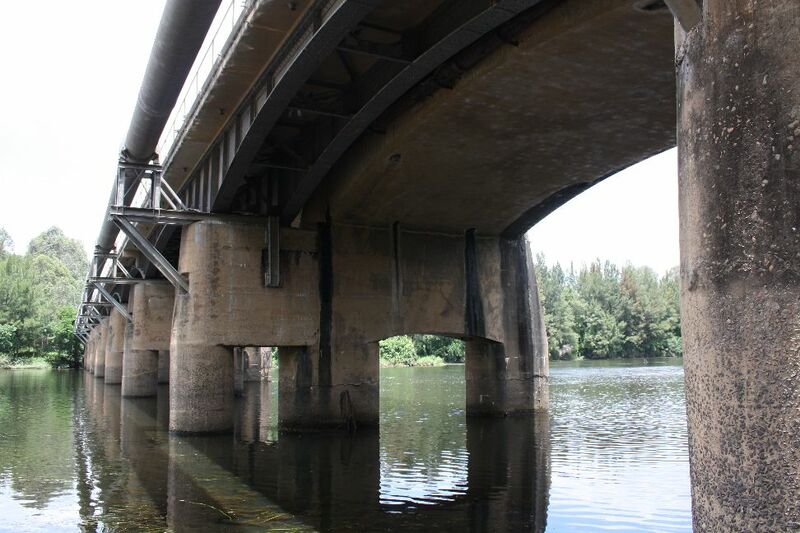 In 1926 the bridge was widened with the addittion of an additional pier and two steel girders, supported on steel rocker bearings, to provide a rail line, which has since been removed and replaced with an additional road lane. The south end of the bridge is not so easily accessible, the banks being heavily overgrown with weeds. 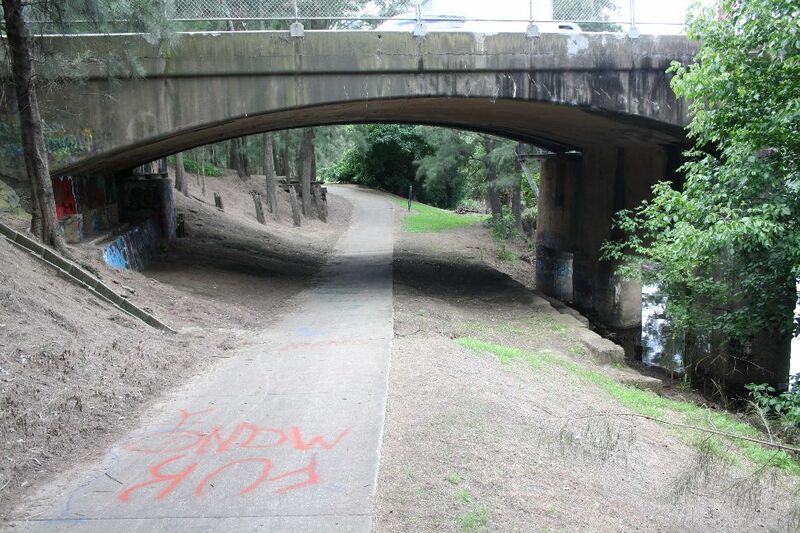 This entry was posted in Arch structures, Historic Bridges, Newton and tagged Hawksbury River Bridge, historic bridge, Monier Arch System, North Richmond Bridge. Bookmark the permalink. Great photos and a great site! I’ve been following your site for some months now and it always keeps me interested, either from the technical information on spreadsheet programming either from these beautiful structural examples. 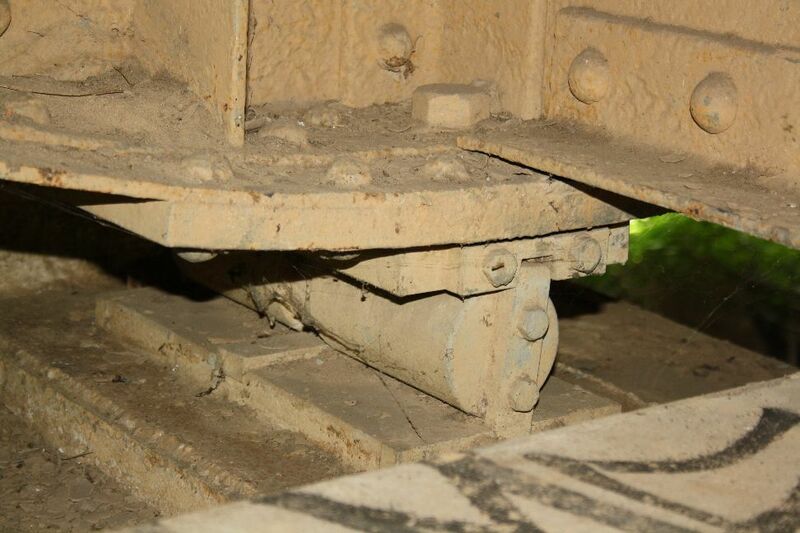 PS: Don’t you just love the way the bearings for the steel structures were materialized back then? Thanks André. It’s always good to get feedback, especially when it is positive!